The Microsoft Azure ExpressRoute lets the users to establish private connections between data centers and infrastructure on their premise. 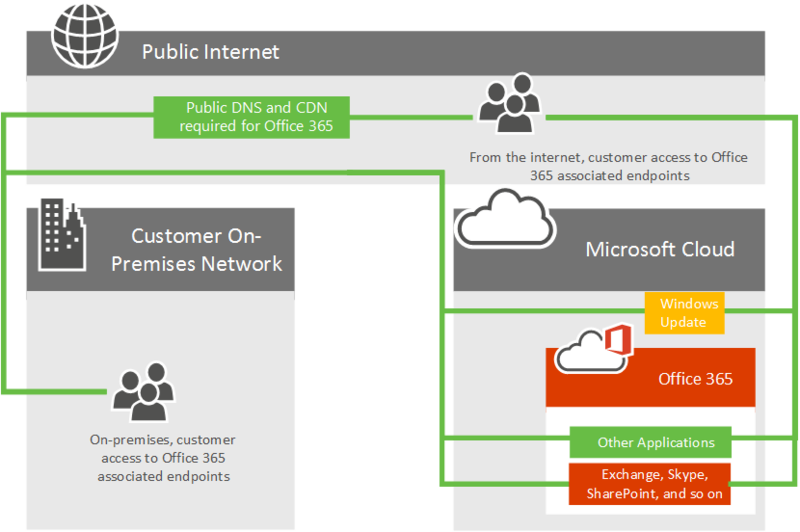 The users can create a private connection facilitated by their connectivity provider and extend their on-premises network into the Microsoft cloud. In addition to access to high performance cloud storage it also allows them to establish connections to Microsoft Cloud services such as Office 365, Microsoft Azure and Dynamics 365. Previously deploying Azure ExpressRoute with Dynamics 365 had a lot of exceptions. The new Simplifies ExpressRoute for Dynamics 365 makes it easier to setup and configure it for Dynamics 365 to streamline the processes by removing all the exceptions. Regardless of whether you have an existing MPLS WAN, ExpressRoute can be added to your network architecture in one of three ways; through a supported cloud exchange co-location provider, an Ethernet point-to-point connection provider, or through an MPLS connection provider. Network traffic for all other applications and services will continue to traverse the internet. 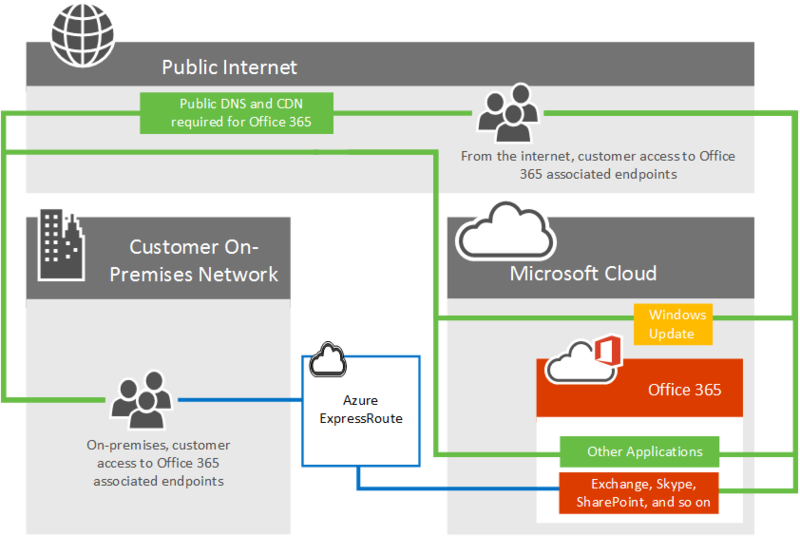 Consider the following high level network diagram which shows a typical Office 365 customer connecting to Microsoft’s datacenters over the internet for access to all Microsoft applications such as Office 365, Windows Update, and TechNet. Customers use a similar network path regardless of whether they’re connecting from an on-premises network or from an independent internet connection. 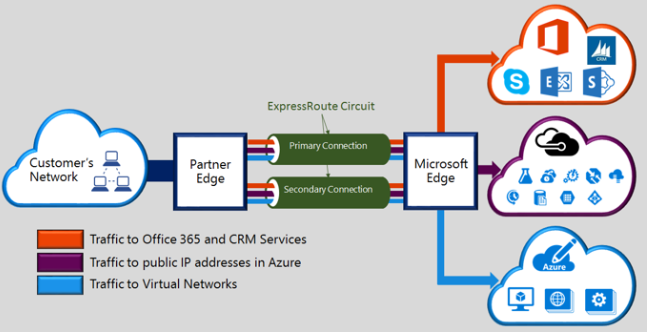 Now look at the updated diagram which depicts an Office 365 customer who uses both the internet and ExpressRoute to connect to Office 365. Notice that some connections such as Public DNS and Content Delivery Network nodes still require the public internet connection. Also notice the customer’s users who are not located in their ExpressRoute connected building are connecting over the Internet.